^ 1.00 1.01 1.02 1.03 1.04 1.05 1.06 1.07 1.08 1.09 1.10 1.11 1.12 1.13 Atkinson W, Hamborsky J, McIntyre L, Wolfe S (eds.). 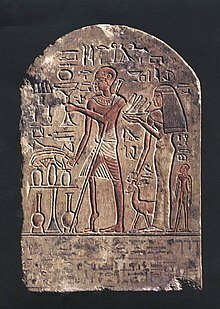 Poliomyelitis. Epidemiology and Prevention of Vaccine-Preventable Diseases (The Pink Book) (PDF) 11th. Washington DC: Public Health Foundation. 2009: 231–44. ^ 2.0 2.1 2.2 2.3 2.4 2.5 2.6 Poliomyelitis Fact sheet N°114. who.int. October 2014 [3 November 2014]. 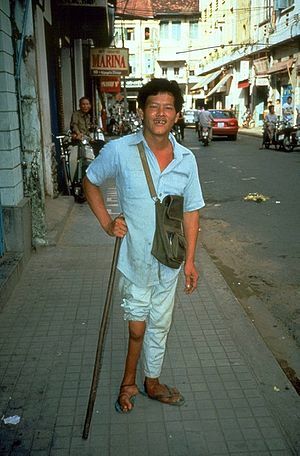 ^ Post-Polio Syndrome Fact Sheet. http://www.ninds.nih.gov/. April 16, 2014 [4 November 2014]. （原始内容存档于2011年7月29日）. ^ Guidance to US Clinicians Regarding New WHO Polio Vaccination Requirements for Travel by Residents of and Long-term Visitors to Countries with Active Polio Transmission. CDC. June 2, 2014 [4 June 2014]. ^ Wheeler, Derek S.; Wong,, Hector R.; (eds. ), Thomas P. Shanley,. Science and practice of pediatric critical care medicine. London: Springer. 2009: 10–11. ISBN 9781848009219. ^ Aylward R. Eradicating polio: today's challenges and tomorrow's legacy. Ann Trop Med Parasitol. 2006, 100 (5–6): 401–13. PMID 16899145. doi:10.1179/136485906X97354. 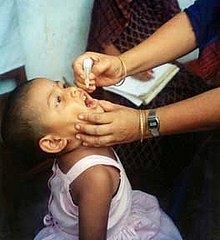 ^ Global leaders support new six-year plan to deliver a polio-free world by 2018. who.int. 25 April 2013 [4 November 2014]. ^ Polio in the Syrian Arab Republic - update. who.int. 26 November 2013 [4 November 2014]. ^ WHO statement on the meeting of the International Health Regulations Emergency Committee concerning the international spread of wild poliovirus. who.int. 5 May 2014 [4 November 2014]. ^ Daniel, Thomas M.; Robbins, Frederick C. Polio. Rochester, N.Y., USA: University of Rochester Press. 1997: 8–10. ISBN 1-58046-066-6. ^ Professional Guide to Diseases (Professional Guide Series). Hagerstown, MD: Lippincott Williams & Wilkins. 2005: 243–5. ISBN 1-58255-370-X. ^ Goldberg A. Noninvasive mechanical ventilation at home: building upon the tradition. Chest. 2002, 121 (2): 321–4. PMID 11834636. doi:10.1378/chest.121.2.321. ^ Frauenthal HWA, Manning JVV. Manual of infantile paralysis, with modern methods of treatment.. Philadelphia Davis. 1914: 79–101. OCLC 2078290. ^ Fine P, Carneiro I. Transmissibility and persistence of oral polio vaccine viruses: implications for the global poliomyelitis eradication initiative. Am J Epidemiol. 15 November 1999, 150 (10): 1001–21. PMID 10568615. doi:10.1093/oxfordjournals.aje.a009924. ^ Koprowski, Hilary. Interview with Hilary Koprowski, sourced at History of Vaccines website. College of Physicians of Philadelphia. 15 October 2010 [15 October 2010]. ^ 17.0 17.1 17.2 Sanofi Pasteur Inc: Competition to develop an oral vaccine. [2011-11-01]. （原始内容存档于2007-10-07）. Accessed 16 December 2009. ^ Spice B. Tireless polio research effort bears fruit and indignation. The Salk vaccine: 50 years later/ second of two parts (Pittsburgh Post-Gazette). 4 April 2005 [23 August 2008]. ^ Kew O, Sutter R, de Gourville E, Dowdle W, Pallansch M. Vaccine-derived polioviruses and the endgame strategy for global polio eradication. Annu Rev Microbiol. 2005, 59: 587–635. PMID 16153180. doi:10.1146/annurev.micro.58.030603.123625. ^ Sabin AB, Boulger LR. History of Sabin attenuated poliovirus oral live vaccine strains. J Biol Stand. 1973, 1 (2): 115–8. doi:10.1016/0092-1157(73)90048-6. ^ 22.0 22.1 A Science Odyssey: People and Discoveries. PBS. 1998 [23 August 2008]. ^ Poliomyelitis prevention: recommendations for use of inactivated poliovirus vaccine and live oral poliovirus vaccine. American Academy of Pediatrics Committee on Infectious Diseases. Pediatrics. 1997, 99 (2): 300–5. PMID 9024465. doi:10.1542/peds.99.2.300. ^ Racaniello V. One hundred years of poliovirus pathogenesis. Virology. 2006, 344 (1): 9–16. PMID 16364730. doi:10.1016/j.virol.2005.09.015. ^ WHO: Vaccines for routine use. International travel and health: 12. [23 August 2008]. （原始内容存档于2008年6月6日）. ^ Pearce J. Poliomyelitis (Heine-Medin disease). J Neurol Neurosurg Psychiatry. 2005, 76 (1): 128. PMC 1739337. PMID 15608013. doi:10.1136/jnnp.2003.028548.